Which top-six side is best after the international break? Is Pep Guardiola's points rate better than Sir Alex Ferguson's? 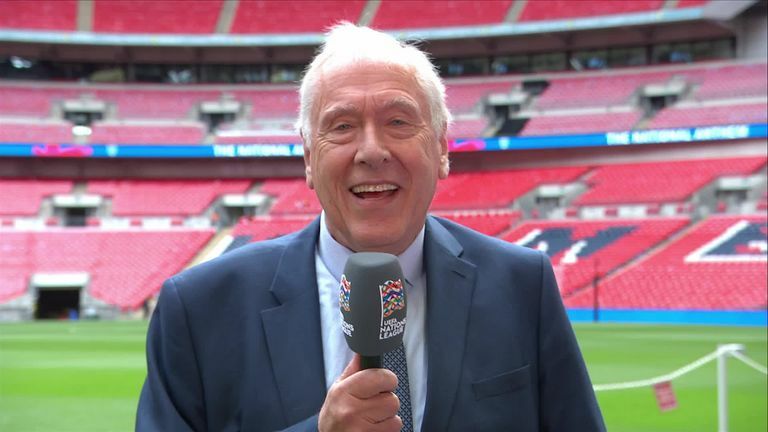 Sky Sports commentator Martin Tyler has the answers to those questions - and do not forget to try his tricky teaser. Got a question for Martin? Tweet @SkySportsPL with the hashtag #TylersTeasers and the voice of football could be answering your question next week. Marcus Rashford scored his fourth and fifth goals for England this week. Those five goals have all been at home, but at four different grounds - two at Wembley (Slovakia and Spain), one at Elland Road (Costa Rica), one at the Stadium of Light (Australia) and one at the King Power Stadium against Switzerland. England avoided four defeats in a row for the first time in their history. England have now lost three in a row five times in their history. Before this run, the previous was the three games at Euro '88 against Republic of Ireland, Netherlands and USSR. Tuesday night was the first time John Stones had failed to start in 17 internationals. The last game he did not start was at home to Slovakia in September 2017. Ben Chilwell became the 12th player aged 21 or under to make his England debut under Gareth Southgate. England had only their second clean sheet in their last nine matches, the other being against Sweden in the World Cup quarter-final. England had conceded two in three consecutive matches before Switzerland. The last time they conceded two goals in four straight matches was in 1960 against Yugoslavia, Spain, Hungary and Northern Ireland. MARTIN SAYS: An intriguing question, as I prepare for coverage of Tottenham and Liverpool at Wembley on Saturday. Looking at how the 'big six' - Manchester City, Manchester United, Chelsea, Liverpool, Arsenal and Tottenham- have coped over the past three Premier League seasons, City come out on top after the four international breaks in September, October, November and March. In the 12 games they've played since the start of the 2015/16 season, they've won nine, drawn two and lost just once, picking up 29 points out of a possible 36. In fact, last season they won all four of their first games back from international duty - including a 5-0 win over Liverpool and a 7-2 win over Stoke - scoring 17 goals and conceding just three. Spurs are next up, having picked up 27 points in their 12 games, followed by Arsenal (26 points), Manchester United (23 points) and Chelsea (22 points). Bottom of the 'top six' pile after international breaks are Liverpool, winning five, drawing five and losing two of their 12 games (20 points). 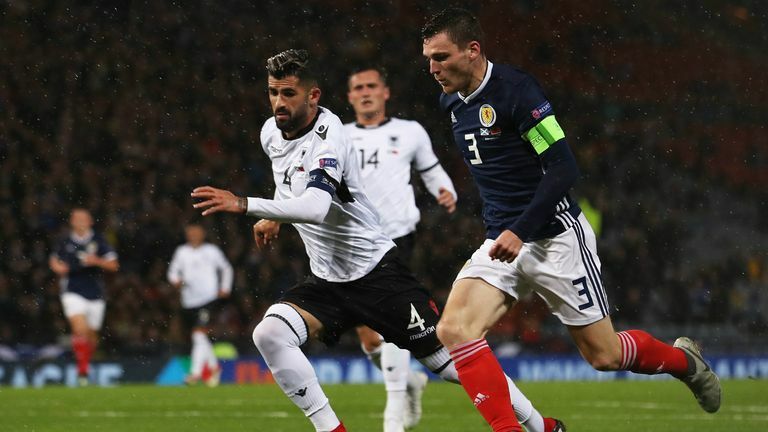 MARTIN SAYS: Scotland's 2-0 win over Albania means they've won five and drawn two of their last competitive games, which bodes well as they look to qualify for their first major tournament since the World Cup in France 1998. They can make it eight in Israel, live on Sky Sports in October. It's their best unbeaten run for a while - since September 2001 in fact - where they won four and drew three games under Craig Brown. Having beaten England in the second leg of their Euro 2000 play-off at Wembley (however losing 2-1 on aggregate), Brown's side then beat Latvia and San Marino (twice), along with credible draws with Croatia (twice) and Belgium in the 2002 World Cup qualifiers. However, they narrowly missed out on a play-off spot for the World Cup in Japan and Korea, finishing two points behind Belgium in their group. Scotland last went eight competitive games without defeat in April 1989, having beaten Belgium, Bulgaria, Norway, Cyprus (twice) and France under Andy Roxburgh. Scotland's best unbeaten run was 13 games, but that was in 1884-1888, where all 13 games were Home Nations clashes against Ireland, England and Wales. MARTIN SAYS: Liverpool have won their last five Premier League games, but face a tough test at Wembley on Saturday as they play Tottenham, live on Sky Sports Premier League at 12.30pm. They haven't won six in a row since an 11-game run in April 2014 under Brendan Rodgers during a season in which they finished in second place, their best winning run in the Premier League. That run, between February and April, included victories over Arsenal (5-1), Manchester United (3-0), Tottenham (4-0) and Manchester City (3-2), scoring an incredible 38 goals. As we know, the title bid stumbled in late April and early May, but this particular run will go down in Premier League history as Rodgers' side came close to a first top-flight title since 1990. If we're looking at Premier League managers to take charge of a minimum of five games, Guardiola's points-per-game rate is at the top of the pile. In his 80 games in charge of Man City, he has picked up 2.35 points per game, ahead of Sir Alex Ferguson on 2.16, though Fergie did take charge of over 10 times the amount of games (810) at United. Antonio Conte's is next with 2.14 points per game from 76 games, followed by Jose Mourinho (2.12), Carlo Ancelotti (2.07) and Roberto Mancini (2.05).